Convergence is emerging in discussions about the future of higher education in the global south. There is growing worry that the south is not training sufficient numbers of university graduates in subjects and fields, such as science, technology, engineering and math (STEM), that are critical to driving a 21st century economy. While serving as Kenya’s minister for higher education, William Ruto declared that the government would withdraw funding for social sciences and humanities subjects in public universities. Similarly, education officials in Tanzania have expressed the need to orient tertiary training to technology-based fields. Parents are also getting sucked into this wrongheaded narrowing of education to meet vocational goals. The perspectives of both the government and parents have a basis in economic concerns. Where government funds higher education, subjects or fields perceived as having no immediate “practical” value like literature, history and philosophy are considered a waste of resources, where “returns on investments” are highly improbable. Africa’s education, from pre-school to graduate school is deeply rooted in the culture of rote learning. This culture has its origins in our colonial heritage, where the mission of education was to produce literate natives to populate subservient roles in the colonial administration. The top echelons, where thinking was required were the preserve of the colonists. Half a century after independence, little has changed in Kenya. Our curriculum-centred education system demands nothing but mindless re-call of unconnected facts from our children. A vast majority of my fellow citizens abhor thinking. Sometimes I get the feeling that asking questions or thinking critically about things might be subversive or treasonable in our country. I have spoken with many employers who are deeply frustrated by the fact that many young people graduating from our schools and colleges, who by the way are technically competent, lack the capacity for logical thinking or complex reasoning. I have taught at a public university and I know that a vast majority of students entering college do not have the requisite levels of speaking, reading and writing. But three or four years of college education does not remedy this. Do not get me wrong. We produce bewitchingly cleaver engineers, doctors, economists, and ecologists. But that is all they are. Unfortunately, the world we live in demands more of us, beyond the narrow limits of vocational training. To provide a counterweight to vocational orientation and traditional rote learning, we need to inject a new dimension to education. Higher education, especially at the university level needs to emphasize and cultivate more intellectual skills, such as critical thinking and complex and moral/ethical reasoning, as well as interpersonal and cross-ethnic understanding. Injecting an intellectual dynamism to higher education must happen through fundamental reforms to curriculum and pedagogy or learning methods, while affirming national values and encouraging innovation and creativity in a competitive globalized world. We must understand that universities are drivers of socio-economic development and critical instruments of competition in an interconnected world. An education system that is overly focused on “practical skills” for work readiness does not provide the foundation for engaging in critical dialogues at the core of our humanity and global sustainability. Such dialogues include: dialogues of self and society; dialogues of belief, evidence and reason; dialogues of equity, pluralism, justice and civic life. These dialogues, I believe, would get students to reflect, over a lifetime, on big questions such as: Who am I? What aught to be? Does the universe have a purpose? Does ethical/moral action depend on reasoning? Does capitalism corrode moral fibre? How should resources be distributed to provide equal opportunity for all? There is no doubt that our future will be shaped by more technology than we can even begin to imagine. Hence the emphasis by governments on STEM is essential but insufficient. Fortunately, encouraging models for making undergraduate education more holistic are emerging outside in the developing world. There is a move in China for a liberal arts (broad-based) undergraduate education. Across the global south, there are attempts to remodel undergraduate programs so that students can obtain a broad, liberal education, in the hope that graduates will be acculturated to be analytical, imaginative and innovative. 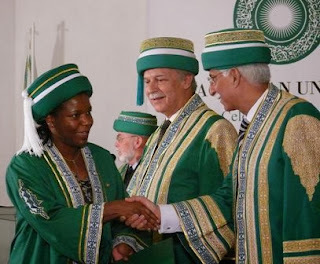 Here in East Africa, the Aga Khan University is developing a curriculum framework that promotes social sciences and humanities, besides biomedical sciences, with the aim of producing well-rounded health-care professionals who are effective listeners, analytical problem-solvers and ethical leaders.